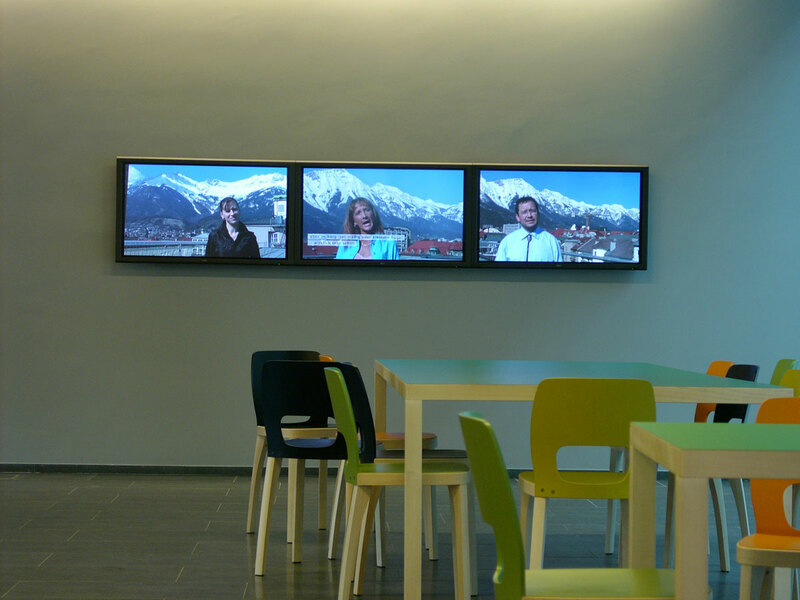 Waiting room at the office for naturalisation of the City of Innsbruck, capital of state Tirol in Austria. 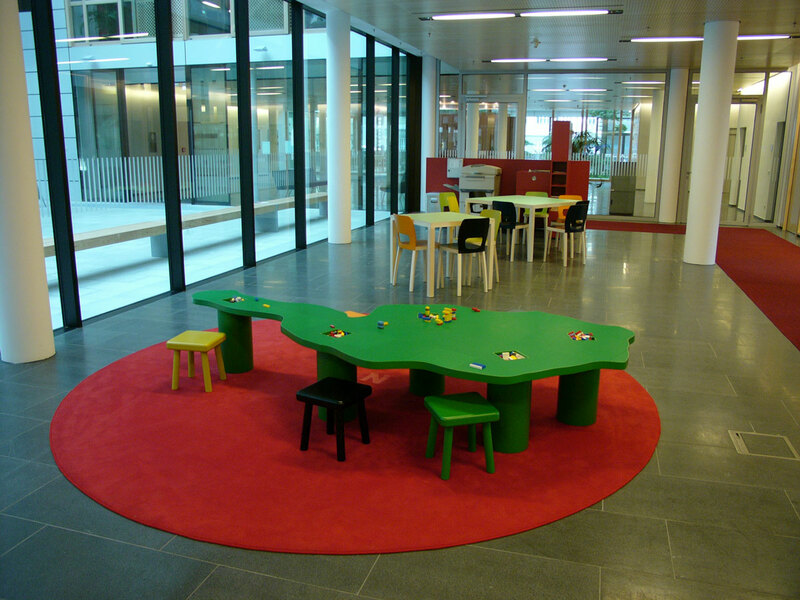 Different sizes of tables with different shades of green; for different sitting situations and configurations. Chairs by the local furniture company Hussl. 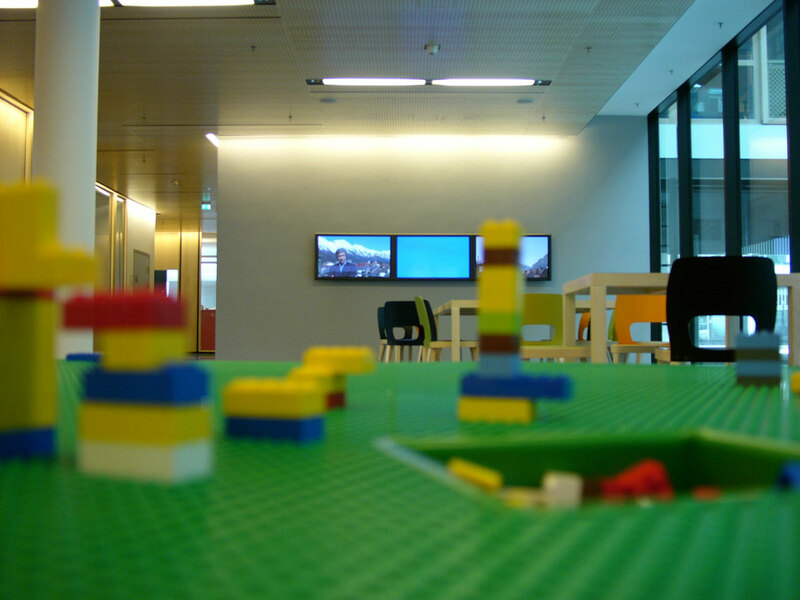 Children playground with a table in the shape of Austria; children can play with Lego-bricks; building everyday a different ‘landscape’ of / on Austria. – Landscape not as something fixed, frozen but as something constantly in change. 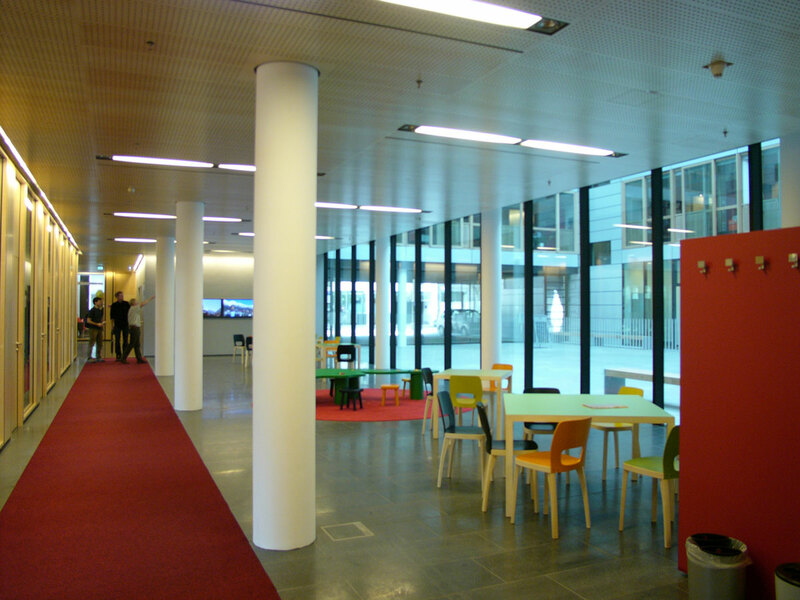 A red carpet surrounding the waiting space; a red carpet as a symbol of ‘welcome’.